I woke up early to make slack water at Greene Point Rapids and Whirlpool Rapids. 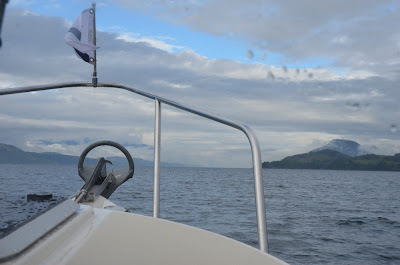 By 6:30 am I was motoring away from Blind Channel on a calm, overcast day. With a fair bit of distance to cover today, I cruised at about 12 knots, a slow plane that is very comfortable and economical. I got a bit of a boost from the current along the way, which is always nice. It’s like free fuel. The one-foot chop I encountered when I entered Johnstone Strait quickly gave way to totally calm seas. I passed six recreational boats going the same direction as I was, all of whom probably waited out yesterdays winds before heading further north. Not much wind today, but a few rain showers along the way. I’d be remiss if I didn’t mention the drift in the water. 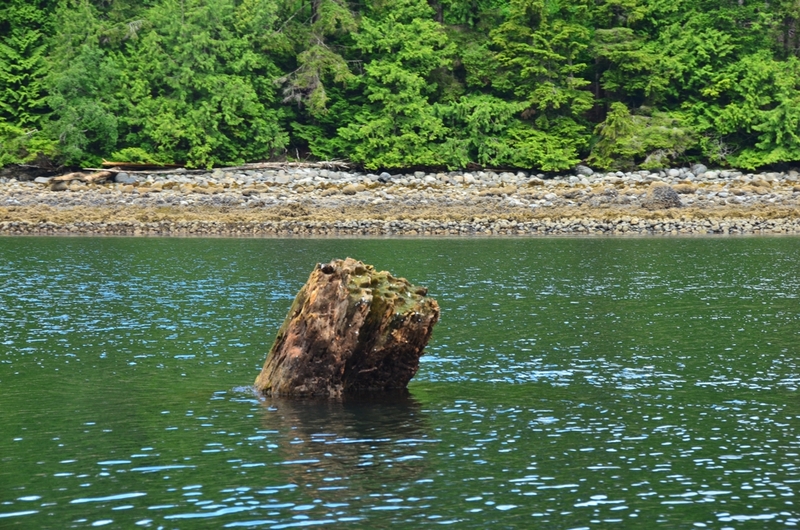 I saw seemingly countless logs in Johnstone Strait, including some that could do major damage. I also saw a whole bunch of porpoises. They’re so quick that photos are difficult. I invariably end up with many photos of water! One of the better porpoise shots. My first stop in the Broughtons was Lagoon Cove. I’d stopped in last summer and Jean Barber, who owns the marina with her husband, Bill, was concerned (in a motherly way) about my trip to Alaska. Sadly, Bill passed away this spring. I had a nice chat with Jean, who seemed to be doing well. She’s definitely keeping busy at Lagoon Cove. After Lagoon Cove I headed for Pierre’s at Echo Bay. It’s about 20 miles between the two. I cooked lunch and cruised slowly at first, but sped up after an hour or so. 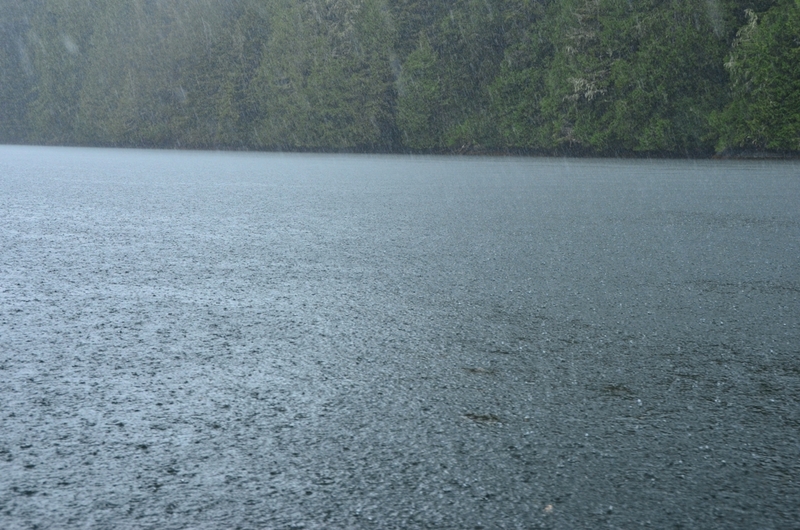 About a mile out of Echo Bay the rain began in a big way….sheets of rain, unlike any I’d seen since Alaska, poured down. Not wanting to arrive in the rain, I slowed down, and pulled into Echo Bay just as the rain slowed down. The Broughtons are pretty quiet this time of year. Only a few boats at Pierre’s. Still, we enjoyed happy hour on the docks and I had dinner with Pierre and three other people who have homes in Echo Bay. Tomorrow I’ll head to Jennis Bay. 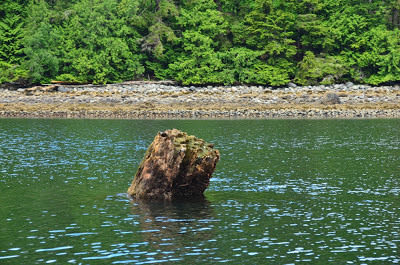 Then Port Hardy on Thursday for a day or two of work. Then, weather permitting, I’ll head around Cape Scott on Saturday or Sunday.